John Battaglia, 62, a former accountant was put to death by lethal injection at the state's death chamber in Huntsville after the execution was delayed for several hours for federal courts to consider last-minutes appeals to spare his life. Lawyers for Battaglia argued he suffered from severe mental illness and was incompetent to be executed. AUSTIN, Texas: A man who killed his two young daughters at his Dallas apartment in 2001 while the girls' mother listened on the phone and heard the fatal gunshots and her children's screams, was executed in Texas on Thursday, prisons officials said. 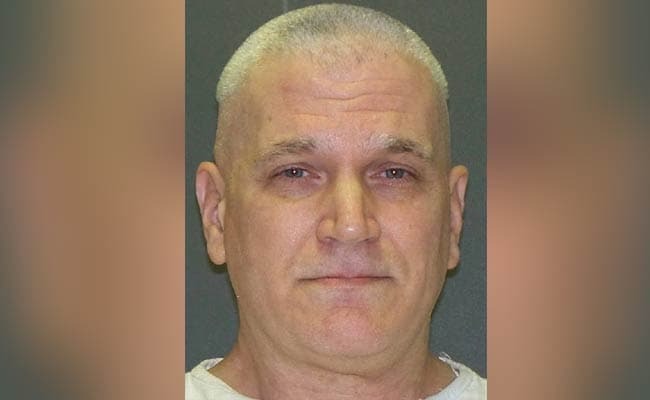 John Battaglia, 62, a former accountant was put to death by lethal injection at the state's death chamber in Huntsville after the execution was delayed for several hours for federal courts to consider last-minutes appeals to spare his life. His execution was the third this year in the United States, all of them in Texas. Lawyers for Battaglia argued he suffered from severe mental illness and was incompetent to be executed. Lawyers for Texas contended Battaglia understood what he had done and was competent. The Supreme Court denied the appeals without providing a reason. Battaglia had been divorced from his wife, Mary Jean Pearl, for about a year when he fatally shot their two daughters, Mary Faith, then 9 years old, and Liberty, 6, prosecutors said. His former wife witnessed the execution. In his last statement, Battaglia was quoted by prison officials as saying: "Well, Hi Mary Jean. See y'all later. Go ahead please." At the time of the shooting, Pearl was seeking to have him arrested for violating a protective order by threatening her. According to court documents, shortly before Battaglia was scheduled to host his daughters for a regular dinner, a police officer informed him by phone he needed to surrender for violating his probation. The officer asked him to turn himself in so that police would not have to take him into custody while he was with his daughters, court documents showed. After the girls arrived at his apartment, he left a message on his wife's phone. When she called back, he put the phone on speaker and demanded that his wife speak with daughter Mary Faith. The daughter then asked: "Mommy, why do you want Daddy to go to jail?" and could be heard a few seconds later saying: "No, Daddy, please don't, don't do it." Then the mother heard gunshots and screams. Battaglia shouted an obscenity at her on the phone, the documents showed. Pearl called 911 and police found the dead girls in Battaglia's apartment. Both had been shot multiple times. After the shooting, Battaglia went to a bar with his girlfriend and was arrested shortly afterward at a tattoo parlor where he was getting rose tattoos to remember his dead daughters, the documents showed. It took a jury about 20 minutes to convict him.